If you’ve ever sold an old car for more than it’s worth or moved a car on for a profit, you may have thought about selling used cars as a business. Whilst there’s a lot of things to consider, it might be easier than you think. Starting up a Motor Trade business will involve a lot of research, and hopefully this guide will point you in the right direction as you create your business plan. One of the first things you will need to consider is the location of your motor trade business, or what vehicles you are going to sell as both can affect each other. Initially you may find it easy to trade from your home, especially if you have space to stock several vehicles, such as a long driveway. Take note; parking your stock of vehicles on the street won’t be looked upon favourably by insurers and you may struggle to get a competitive quote if you choose to go down this route. Some traders who are just starting out find a plot of land and place a port-a-cabin there for use as an office – if you do something similar you will need to make sure you can do so legally, and if you lease the land from somebody else, also check with your landlord. Choosing the location for your new motor trade business will involve a bit of thought. You will need to ensure your customers can get to you if they don’t already have a vehicle, as being located in an area with poor public transport could put off a lot of prospective customers. However not all areas with great public transport are great locations to open used car sales businesses; city centres or areas close to city centres often have excellent transport links that make having a car redundant and a hassle to test drive cars. Likewise, consider the location of other similar businesses, and whether you want to be in amongst them, or set apart in a different location. When deciding what cars to sell you’ll need to take into account what’s popular in the area you are/will be located in. If you set up shop in a rural setting then you might have better luck selling used Land Rovers and other off-road vehicles rather than city cars. Looking at what sells well nationally is also useful, and there are lots of reports out there showing what sells well and what sells fast. Stocking cars that take a while to move can eat into profits and take up vital space on your forecourt. You may want to purposely sell cars that aren’t popular nationwide, such as American classics or imports. In this case, you could think about also offering popular cars that sell fast to subsidise the other side of the business. Another important aspect of starting a motor trade business is looking into the legal side of things. Whilst this might not be as fun as finding a location and figuring out what you’re going to sell, it’s still something that needs to be done. This includes things such as getting to grips with the Consumer Rights Act and the General Data Protection Regulations, to make sure you understand where you stand in relation to customer rights and queries with anything they purchase from you. One of the most important steps in starting a motor trade business will be taking out Motor Trade insurance. A lot of Motor Trade insurance brokers will have specific Traders insurance products for each section of the motor trade, so for someone with a used car sales business they’ll have a Vehicle Sales insurance policy. 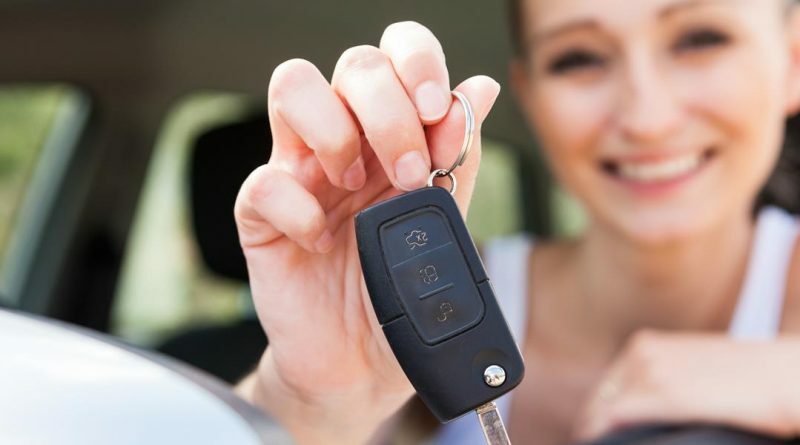 This will include the things that all vehicle sellers will likely need such as Demonstration Cover (an insurance product that allows your customers to test drive cars in your stock). When taking out a Motor Trade insurance policy, it’s important to make sure the policy protects all of the areas of your business that you want covering, and reading this Ultimate Guide to Insurance for Motor Traders should give you an idea of what your motor trade business might need. Going into the world of trading cars can be an exciting venture that allows you to work with all different types of cars and people, but failing to do your research into the industry can make it even more difficult to be a success. Similarly, not protecting your business with the right Motor Trade insurance policy can have terrible consequences, particularly if you need to make a claim and find the cover you have isn’t sufficient and you have to find the money out of your own pocket. Getting the right cover could prove the difference between your business thriving or not even surviving, should the worst happen!